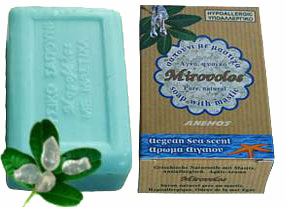 "Uses Of Chios Gum Mastic"
The curing properties of Gum mastic oil were well known in ancient times as well. Dioscourides says that gum mastic was useful for some illnesses. Gum mastic for oil production is used in many ways for uterus infections, as a mild warming antiseptic and emollient. It cleans the cancerous growth which normally appears in the stomach, the infections of the abdomen and intestines and also cleans the face. When gum mastic is chewed, it helps digestion, because the oil in the gum mastic causes reflecting secretion of saliva and the gastric liquid. Gum mastic oil also contains hydrat de terpin, which is well-known for its curing properties for chronic bronchitis. Gum mastic is used for the production of high quality varnishes, especially ones for airplanes, but can also be used in varnishes for musical instruments, furniture, etc. It’s used in cosmetics and perfumery; it’s used in lithography; it’s used in the prodaction of Spanish Wax and for the starching of clothes. Gum mastic is the best stabilizer of colors in the weaving and cotton industries. It’s also the best stabilizer of colors in paints, especially the paints used by the artist. In orthodoncy, research has shown that some faults in teeth can be improved by chewing. 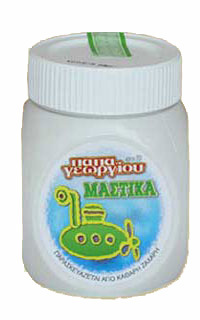 Sweet Masticha is served in a peculiar way called “submarine” (because the Masticha is submerged in a glass of water). Gum mastic is also used in pharmacy, as ointment for burns. It can also aid Diabetes via a teaspoon of gum mastic powder every morning. 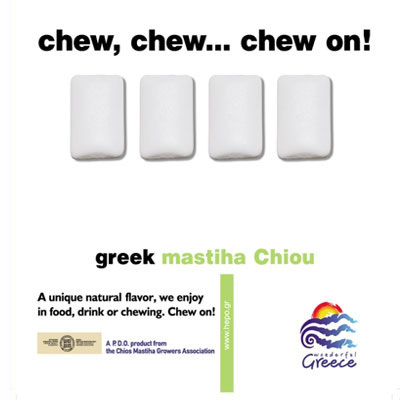 Gum mastic also absorbs cholesterol. Gum mastic and gum mastic trees’ leaves can be used to lower high blood pressure. It’s also used in the production of high quality glues and adhesives and as a frankincense with a pleasurable aroma when it burns on small coals which is used for religious purposes. Gum mastic can be used in the production of tyres, in the tanning industry, the weaving industry, the chewing gum industry, in aromatic soaps, in flavors for meat and seafood and in the production of vitamins, insecticides, elastics, synthetic rubber, plastics, varnishes and paints like electric insulators. Gum mastic increases the reaction of the immunization system. It’s also used as an aphrodisiac, sexual stimulant. Gum mastic can be used in lotion against sunburn because Masticha absorbs the Ultra-Violet rays. It can also be used as a mild coffee additive. It’s also used as a tobacco flavor, as a relief to gout and rheumatic pains and as FIXATIF in drawings with pencil and pastel.